While neither partridges nor turtle doves played a role, 50 geese and more than a dozen swans-a-swimming helped Tufts Wildlife Clinic surpass its annual caseload record by more than 12 percent and counting—a total of more than 2,000 cases. The cases range from the common—a woodpecker from Amherst who flew into a window, for example—to the sublime, including an American bittern, a scarlet tanager, a musk turtle, a long-tailed weasel and two coyotes. About half the cases brought to the Tufts Wildlife Clinic were birds, including 218 birds of prey. More than a third, including a golden eagle, nearly 30 red-tailed hawks and 32 owls, were released back to the wild. Functioning from its inception as a public-private partnership, the Wildlife Clinic serves as a resource for government agencies and nonprofits tasked with rescuing wildlife, representing more than 12 percent of all the cases served. The previous case record was set just last year—a jump from the usual 1,600–1,700 cases up to 1,810. The surge beyond 2,000 animals is reflective of a tough year, both weather-wise and economically, said Florina Tseng, DVM, director of the wildlife clinic. We started the year with many more owls than usual, Dr. Tseng said. With the tremendous amount of snow in the region, fields were covered, and owls either came in starving or after being hit by cars, hunting on roadways. The year continued with natural disasters in Massachusetts, including rare tornadoes and a hurricane, which displaced plenty of wildlife, including a record number of squirrels—220 in total—many tossed out of trees by high winds. Further human encroachment into wildlife habitats may lead to more animals hit by vehicles, mauled by household cats and dogs, poisoned by rodenticides and other household pest control measures, shot or otherwise interfered with, Tseng said. What’s more, wild animals are staying much longer at the clinic, Dr. Tseng said. Between July 2010 and June 2011, wildlife racked up 15,429 days in the hospital—an average of 42 days—compared with 6,885 just five years ago. 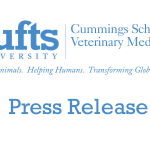 While the clinic now employs more advanced methods to keep animals recovering, the increase is also attributable to decreased capacity among rehabilitation facilities, Tseng said; without somewhere else for wildlife to heal, they continue to convalesce at Tufts. Although the number of rehabilitators licensed by the Commonwealth of Massachusetts has hovered around 100 for the last few years, the economy has forced several to scale back or discontinue their efforts. Overseen by Dr. Tseng, the wildlife clinic is one of just a handful of standalone academic wildlife clinics in the country and is a required two-week rotation within the Cummings School of Veterinary Medicine’s fourteen-month clinical year for DVM candidates. The clinic is staffed by three veterinarians, two veterinary technicians, support staff and a small army of volunteers. 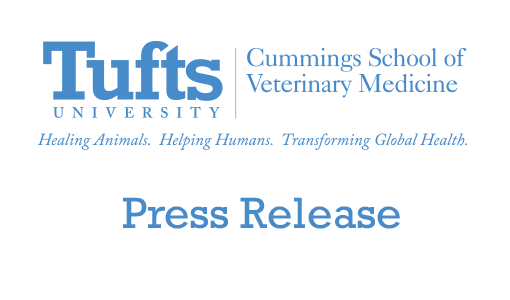 Each year, the Tufts Wildlife clinic relies on philanthropic donations from individuals, corporations and foundations. Donations from individuals who brought wildlife to Tufts totaled more than $15,000 in 2011. Prior to bringing wildlife to Tufts, Tseng said, the lay public should call the front desk at (508) 839-7918 to seek advice. Especially in the springtime, people will mistake healthy fledglings and nestlings whose parents are out foraging for cases of abandonment or neglect. These animals will do much better when left alone for their parents to raise. Several of this year’s cases made headlines: a Cooper’s hawk who was rescued from an MBTA station by the Animal Rescue League of Boston, a wayward coyote found on the frozen Charles River, a Golden Eagle with a bite wound—all of whom were released into the wild. A snowy owl found in Newport, RI—much further south than is typical—a young porcupine, and a barred owl rescued by a State Police officer on the Massachusetts Turnpike continue to recover at the clinic. In addition to serving the wildlife that come through the door, the Bernice Barbour Wildlife Medicine building also houses population-based research that may help future populations of wild animals. Ongoing projects include studies of exposure to lead, rodent poison and other environmental toxins—and the ways to treat, prevent or identify the origins of them. Tufts Wildlife Clinic also works to educate non-veterinary audiences, wildlife biologists, wildlife rehabilitators, educators, and policy makers about wildlife and conservation issues and the roles that veterinary medicine can play in responsible conservation. Wildlife Clinic faculty and staff regularly lecture and provide consultation services for these varied groups.